This production boat was built by Yendys. 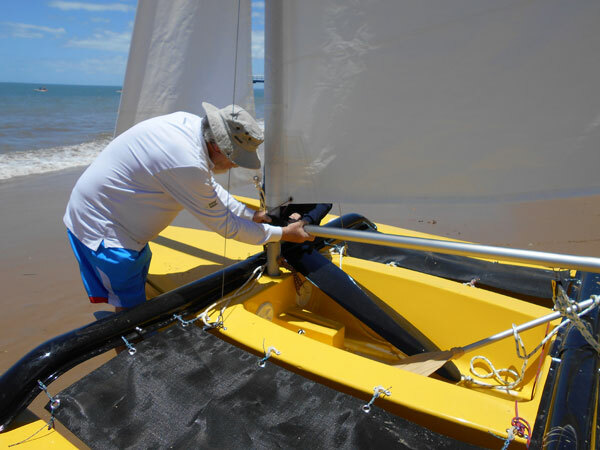 One of these boats has been launched and another is almost ready to rig. 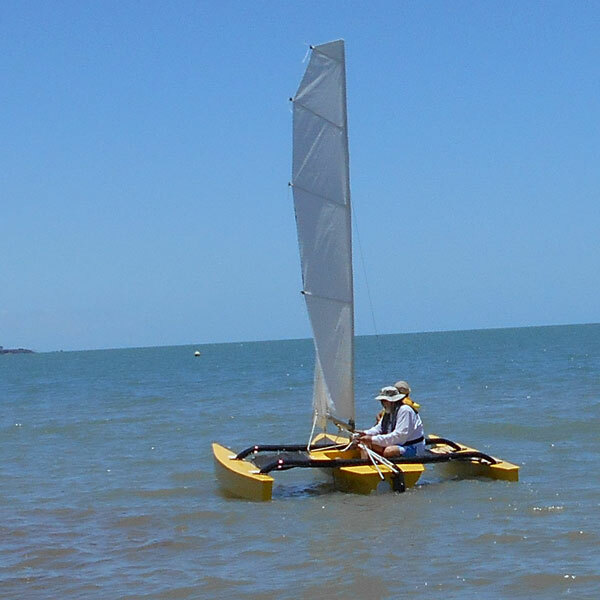 This boat has the same dimensions as the Scarab 350 with rounded bilge, folding beams, dagger board and pivoting rudder. It is moulded using polyester resin and glass. The cockpit is different to the Scarab 350 but still has plenty of leg room. 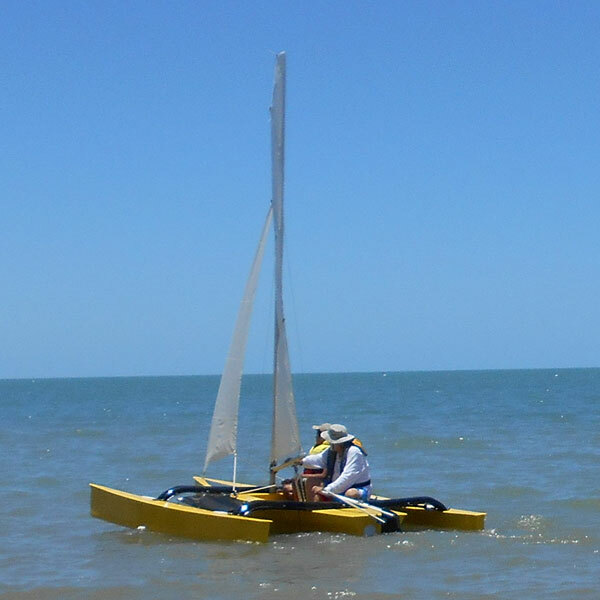 We have the plans for this boat built using foam sandwich with sliding aluminium beams.